Yesterday saw the start of the 13/14 Clipper Round the World Race, designed to provide all participants regardless of their level of sailing experience the opportunity to race across oceans and embrace the worlds’ toughest sailing conditions. On Sunday it was estimated that over 120,000 well wishers waved the fleet of 12 70ft racing yachts on their way as they departed from St Katherine’s Dock in London; 40 years since the capital last hosted the race start. The race officially started on Monday morning at 0930 offshore from Southend. The first of 8 legs will take the yachts via Brest, France, to Rio de Janerio. Further information on the legs can be found here. If you would like to experience a day on a Clipper round the world racing yacht, contact us by emailing admin@solent-events.co.uk or calling 01590 674900. 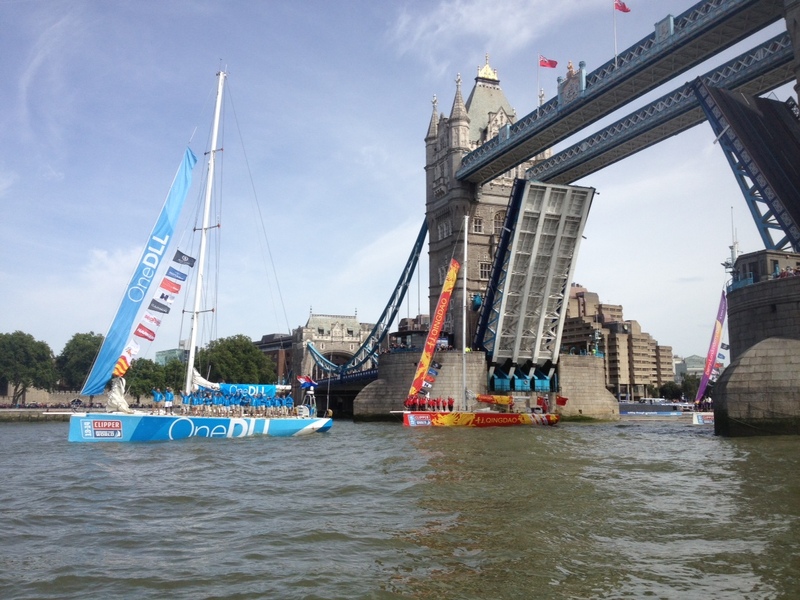 We will be following the race over the next 11 months before the yachts return to London in July 2014. Good luck to all those taking part.